‘While the work was largley inspired and driven by new digital technologies, we were happy to fall back on traditional printing techniques to document and illustrate it,’ writes Rudy VanderLans in Emigre Fonts: Type Specimens 1986-2016 (Gingko Press, $35). 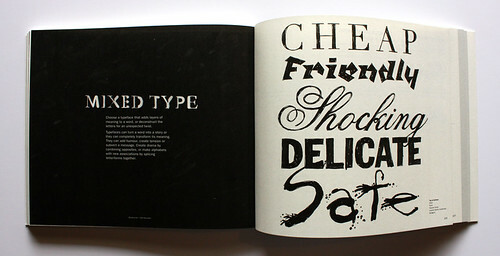 Spread from Emigre Fonts with specimen no. 292 (2005) for Vista designed by Xavier Dupré. 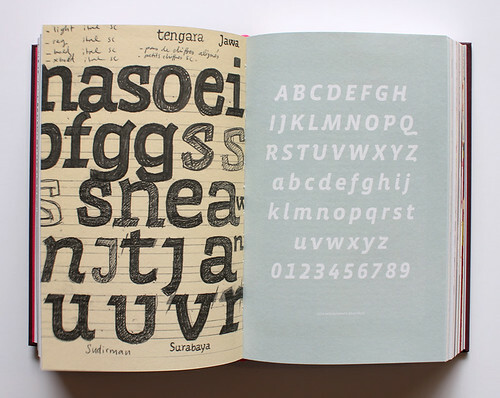 Top: Spread from How to create typefaces: from sketch to screen (Tipo e, £24). The book features 28 complete specimens from the pioneering type foundry created by Zuzana Licko (see Eye 43) and VanderLans. These include the early Digital Fonts (1986), Mrs Eaves (1996), Keedy Sans (2002) and Historia (2010 – see ‘California panorama’ in Eye 77). 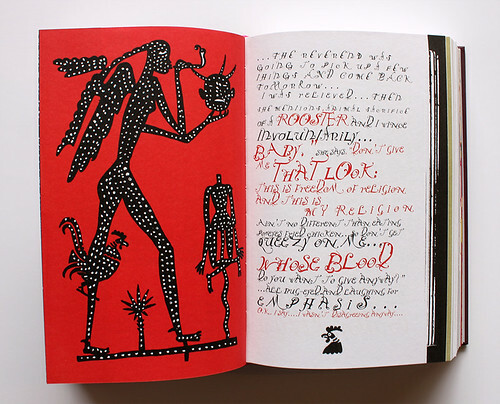 Spread from specimen no. 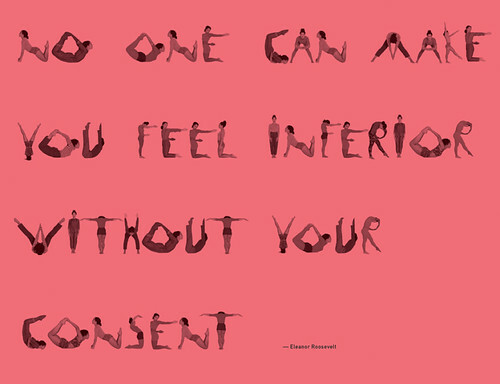 125 (2001) for Mark Andresen’s Not Caslon typeface. See ‘Pesky illustrator’, Kenneth FitzGerald’s profile of Andresen in Eye 67. • An exhibition about the associated magazine – ‘Emigre magazine: design, discourse and authorship’ – will run at the University of Reading’s Department of Typography & Graphic Communication from 12 June to 14 July 2017. 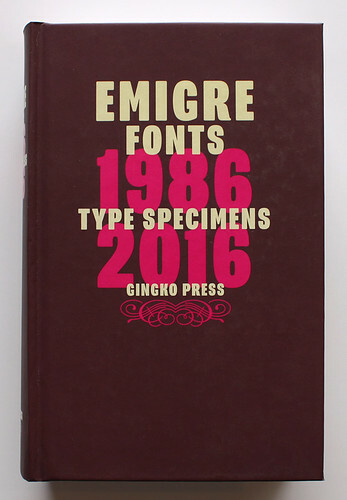 Cover of Emigre Fonts: Type Specimens 1986-2016, designed and edited by Rudy VanderLans, 2016. Pit magazine’s debut issue uses the recently released slab serif font Sunday Clarendon by A2-Type (Henrik Kubel and Scott Williams). A2’s slab serif font is available in seven weights and italics. This spread from Pit shows Sunday Clarendon Light. Illustration: Jamie Jones. 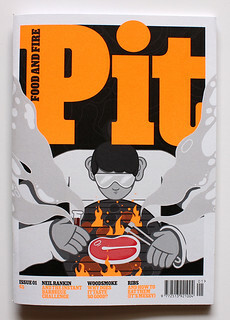 Pit’s logotype is set in Sunday Clarendon Black with cover lines in Sunday Clarendon Bold. Art direction: Holly Catford. Cover illustration: Michael Driver. Sinem Erkas recently illustrated and art directed hula hoop artist Marawa Ibrahim’s book The Girl Guide (Frances Lincoln, £7.99), creating an alphabet and numbers (used for page numbers) with Ibrahim’s body. 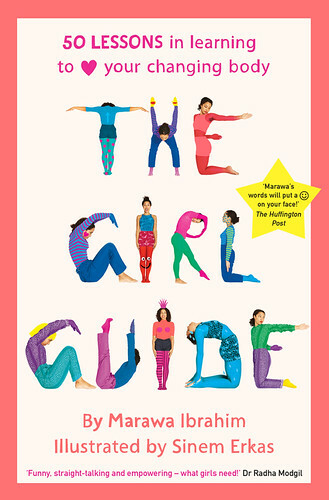 Marawa Ibrahim’s The Girl Guide speaks frankly to growing young women grappling with their changing bodies. Marawa Ibrahim, The Girl Guide, Frances Lincoln Children’s Books, £7.99. 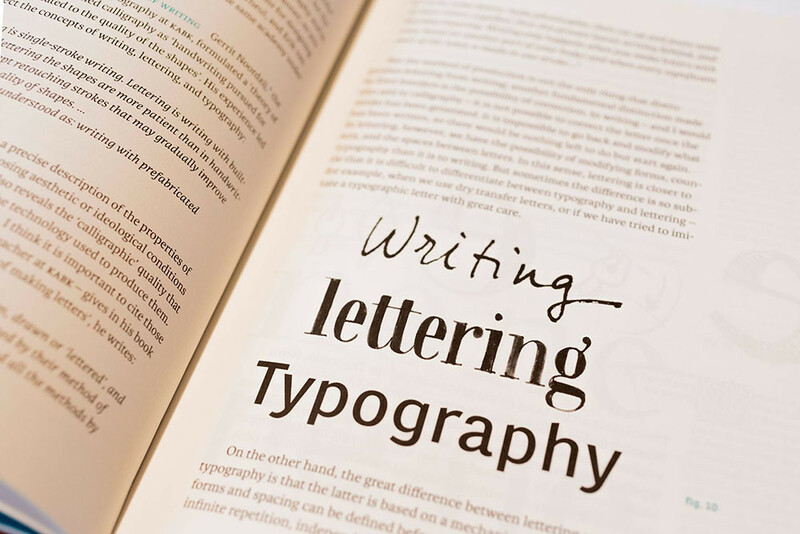 How To Draw Type and Influence People: An Activity Book (Laurence King, £12.99) by Sarah ‘Type Tasting’ Hyndman integrates the publisher’s interest in both activity books and type design. 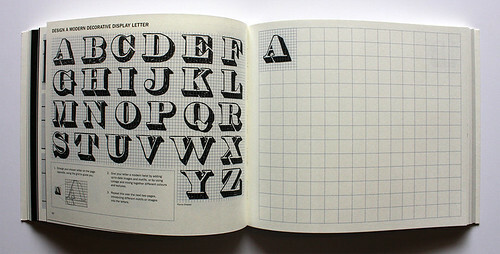 Spread from How To Draw Type and Influence People. 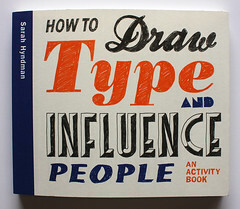 Cover of How To Draw Type and Influence People. Design: Alexandre Coco. The English edition of Madrid-based publisher Tipo e Editorial’s Cómo crear tipografías: Del boceto a la pantalla launched at St Bride Library on 1 June 2017. 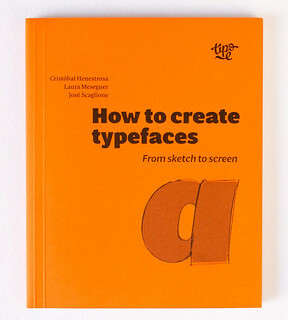 How to Create Typefaces: From Sketch to Screen is written by Cristóbal Henestrosa, Laura Meseguer and José Scaglione (translated by Christopher Burke and Patricia Córdoba) is a practical guide to creating typefaces from start to finish, design to distribution. 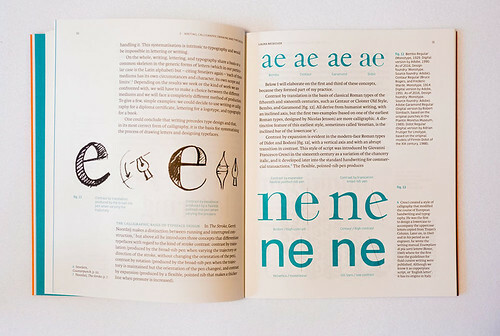 Spread and cover from How to Create Typefaces: From Sketch to Screen. Jason Smith’s type foundry Fontsmith has just ventured into the indie magazine world with TypeNotes, with contributions from Hey’s Verònica Fuerte, Aporva Baxi, Andy Altmann, Emma Thomas, Erik Kessels and acting editor Emily Gosling. 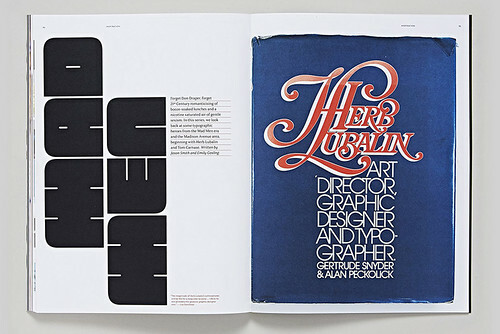 Spread from article in TypeNotes about Herb Lubalin and Tom Carnase. Spread from article in TypeNotes about Cyrillic type by Krista Radoeva. 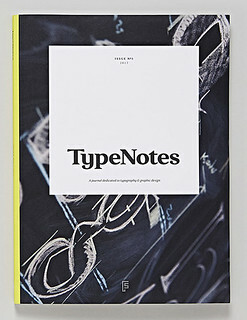 Cover of TypeNotes no. 1. Creative director: Jason Smith. 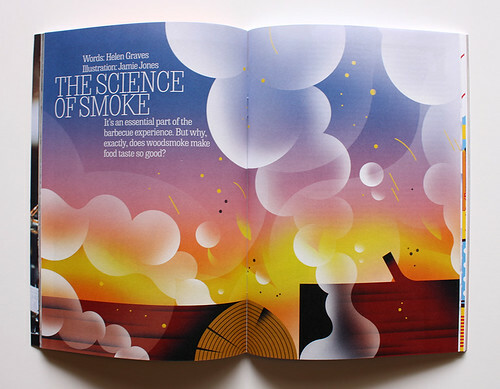 Design: David Marshall and Elizabeth Ellis, The Counter Press.